The goal of this project was to communicate quantities of energy into some form of visual reference that people could understand and relate to. Since food is our source of energy, I thought it would an ideal reference, as it’s something everyone is familiar with. 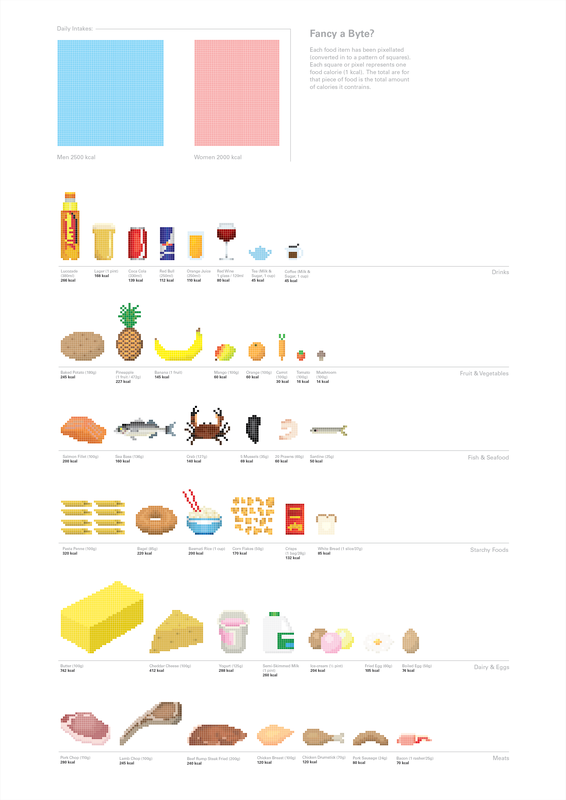 My final outcome was an A2 poster showing a list of food and drink items drawn in pixels. Each pixel represented 1 kcal (calorie), so the total amount of pixels in each food or drink item represents the total amount of calories within it.